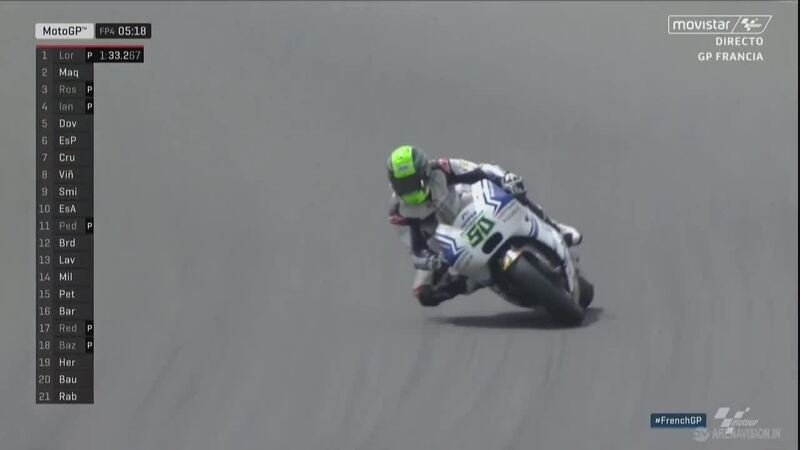 San Marino GP Race: 0-0 MM93-AD04 Before Aragon! 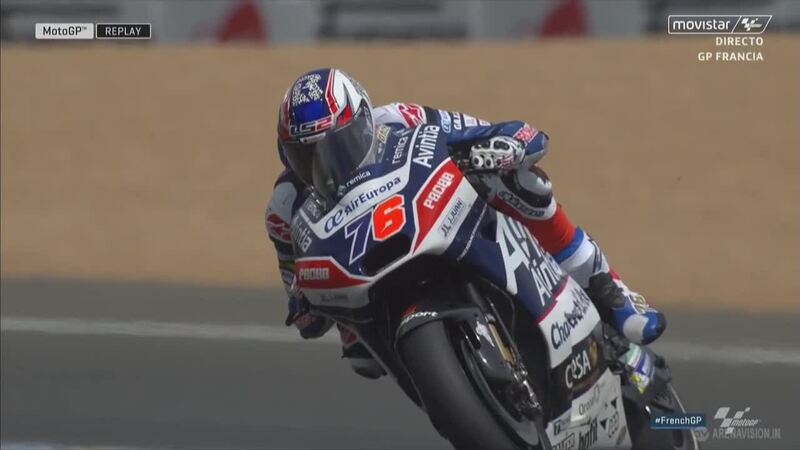 Once more it was Jorge Lorenzo who led the way during practice in the French GP, ending ahead of Marquez and Rossi. 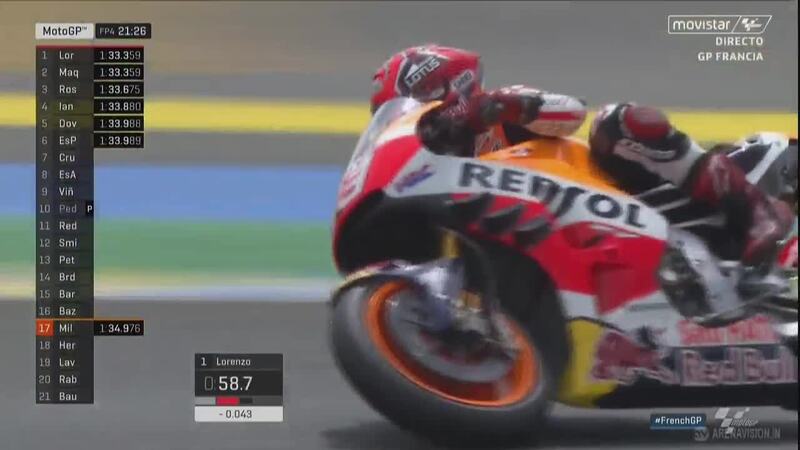 For the first time all weekend riders in the MotoGP™ World Championship were able to head out on track without the stress of having to set a top ten time. 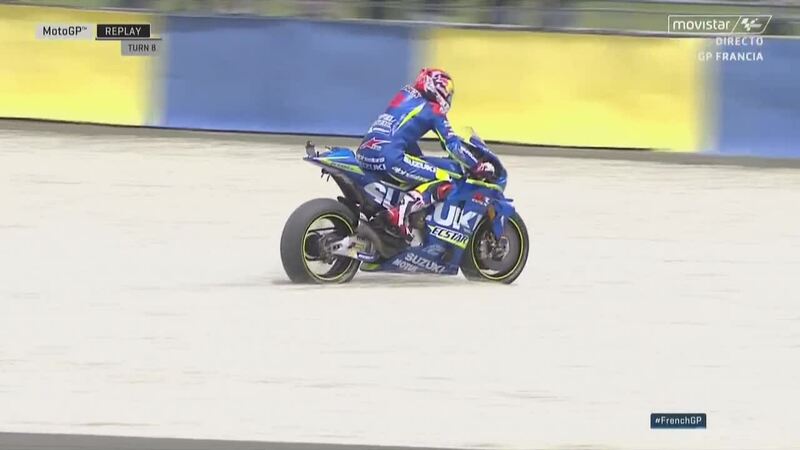 Working with tyres for the race was a priority for many riders as Michelin had brought several new options for the weekend. Many riders were favouring the new softer option rear, giving more grip and stability. 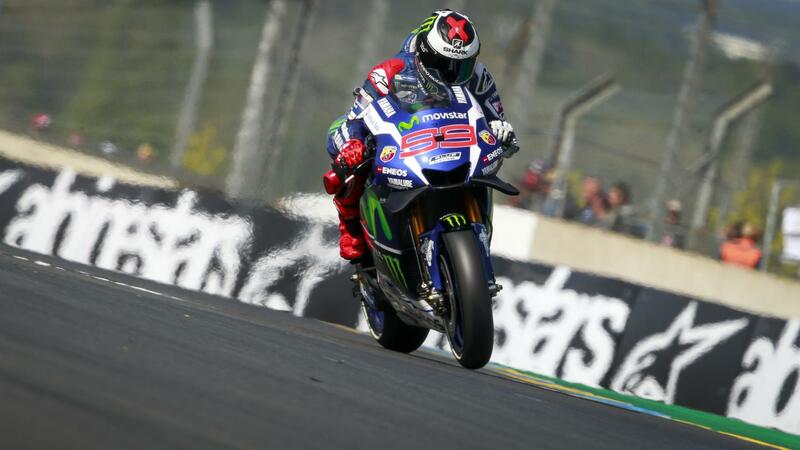 Fastest in the session, Jorge Lorenzo (Movistar Yamaha MotoGP) has been strong all weekend and is yet to finish outside the top three in practice at the 2016 Monster Energy Grand Prix de France. 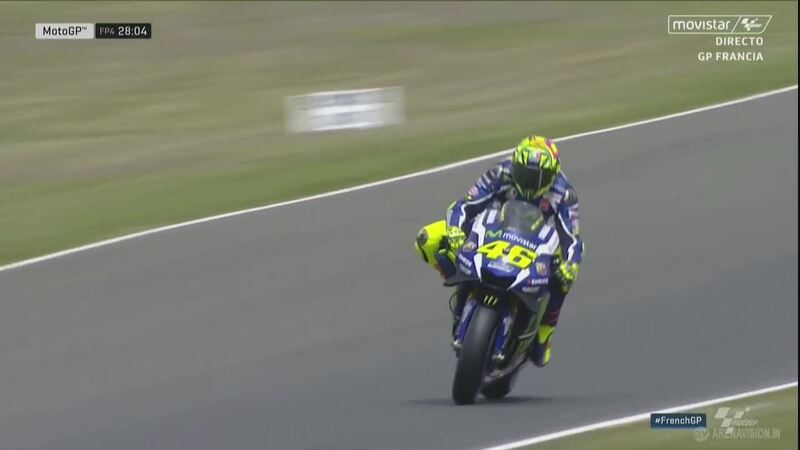 The reigning World Champion set a 1’32.801, yet again the only rider below the 1’33 barrier in a session. 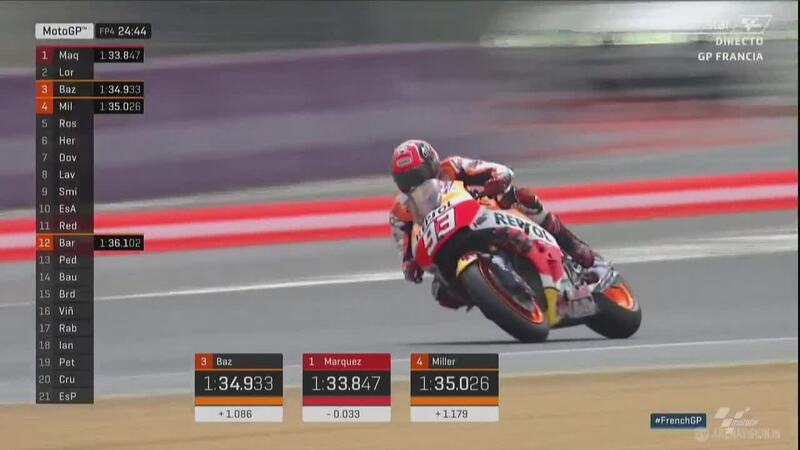 Over half a second behind was Marc Marquez (Repsol Honda Team), the only Honda inside the top five. 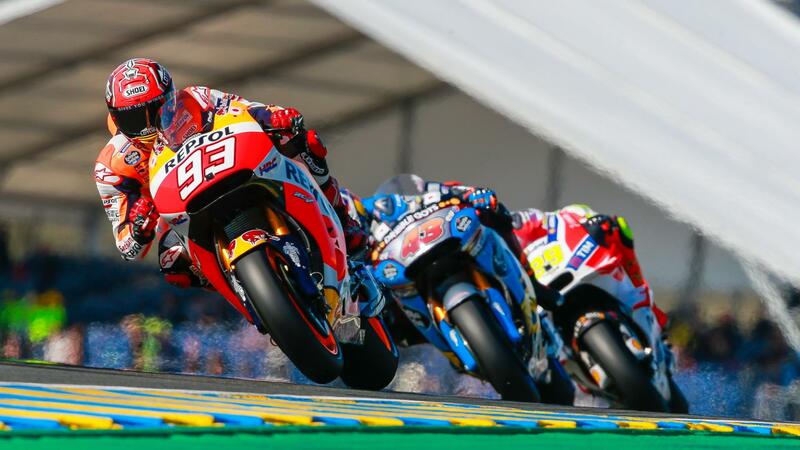 The French GP in 2015 highlighted many of the issues Honda were having, Marquez so far having a much stronger weekend. 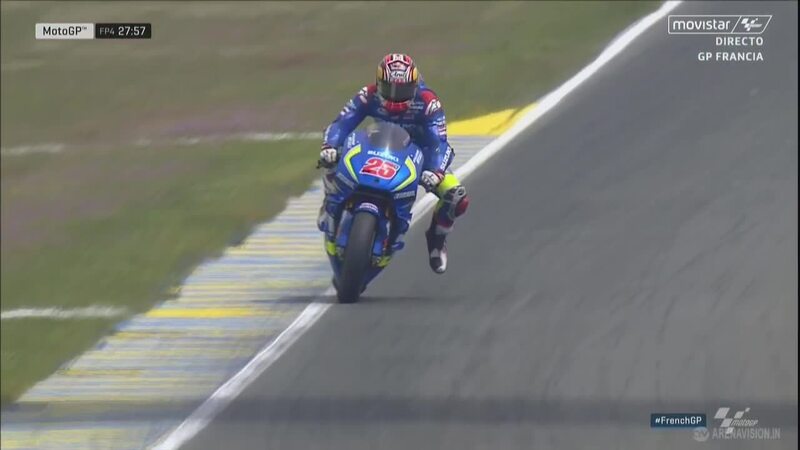 While Lorenzo may have a clear advantage, Marquez and Valentino Rossi (Movistar Yamaha MotoGP) were much closer on the times, divided by 0.048s. 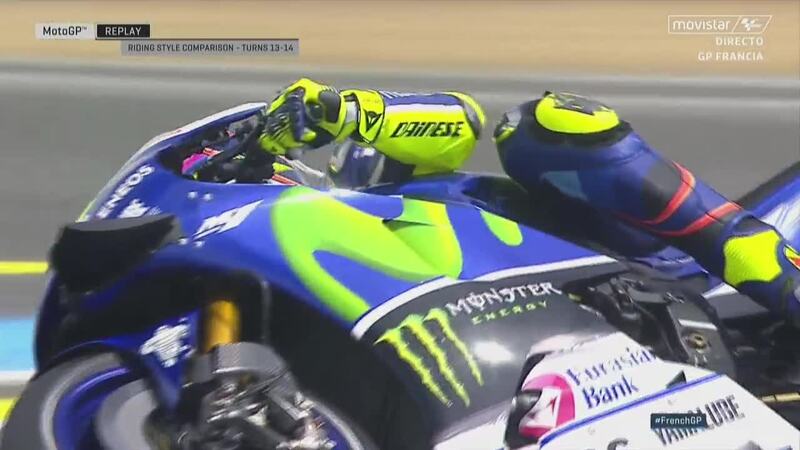 The trio have been the main protagonists is every race this year. Andrea Iannone (Ducati Team) and Andrea Dovizioso (Ducati Team) were fourth and fifth respectively. 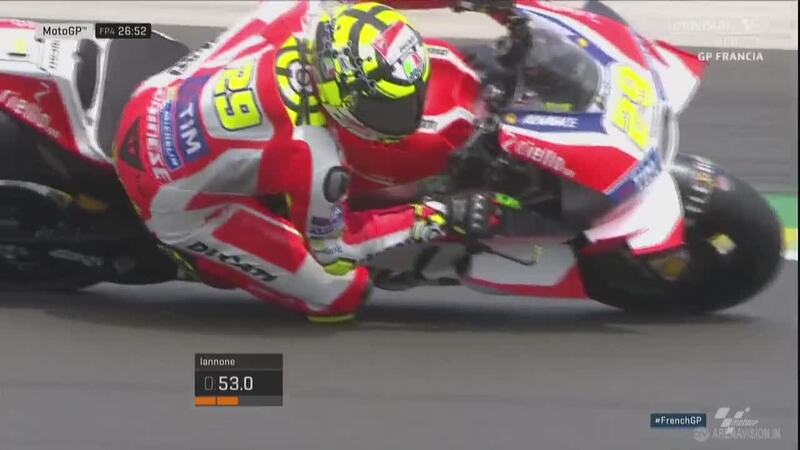 Heading into Qualifying Iannone remains as the fastest rider overall thanks to his time in FP3. 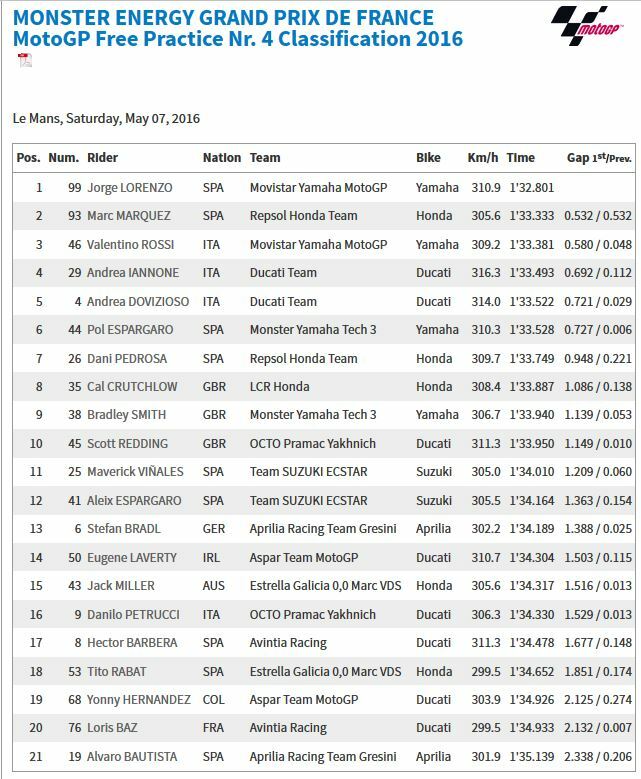 Pol Espargaro (Monster Yamaha Tech 3), Dani Pedrosa (Repsol Honda Team), Cal Crutchlow (LCR Honda), Bradley Smith (Monster Yamaha Tech 3) and Scott Redding (Octo Pramac Yakhnich) made up the top ten.